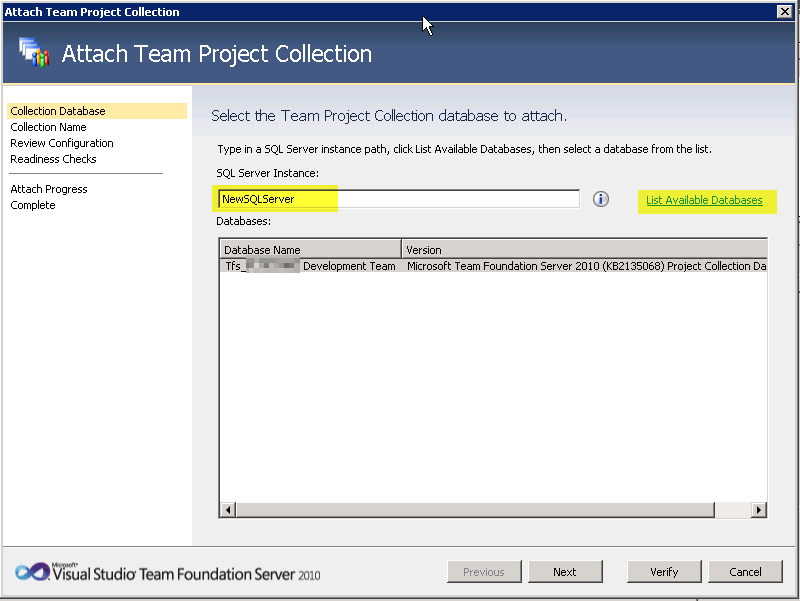 Yesterday we migrated SharePoint’s SQL Server to a new instance today we will be migrating Team Foundation Server (TFS) SQL database to new SQL instance. 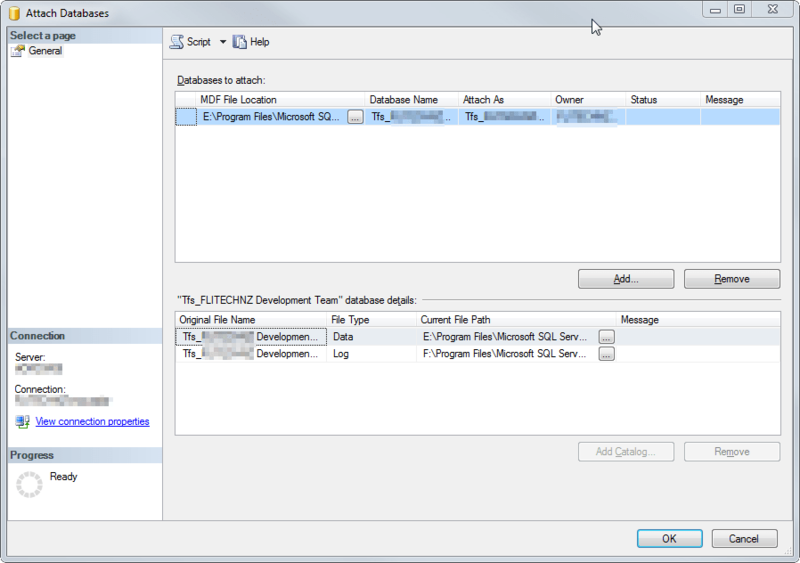 In this example we are migrating it to a new version of SQL Server which is from SQL 2008 R2 to SQL 2012, this will also work on the same SQL version. What we had done here is a very simple step by step instructions and this is what I’ve done with our live environment. 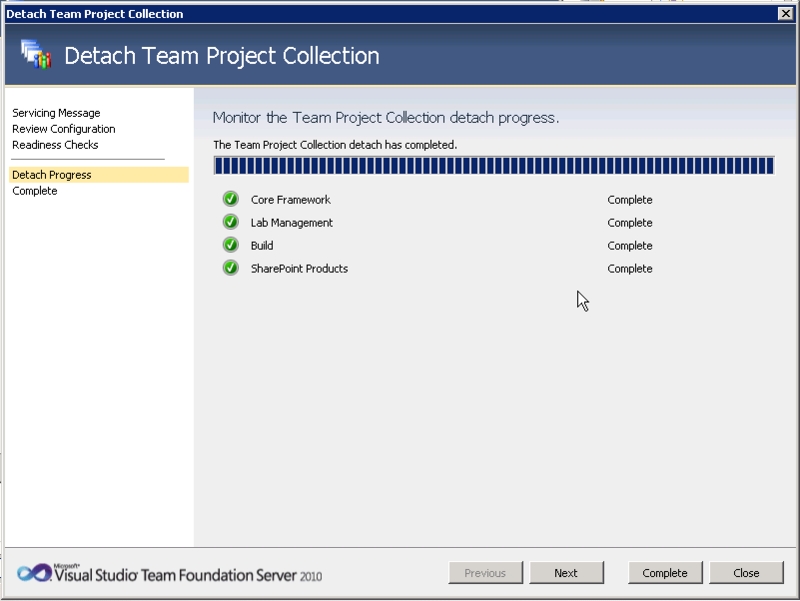 I only migrated the Project Collection and Configuration Database so if you have the same scenario you can follow this with care of course. So let’s start. 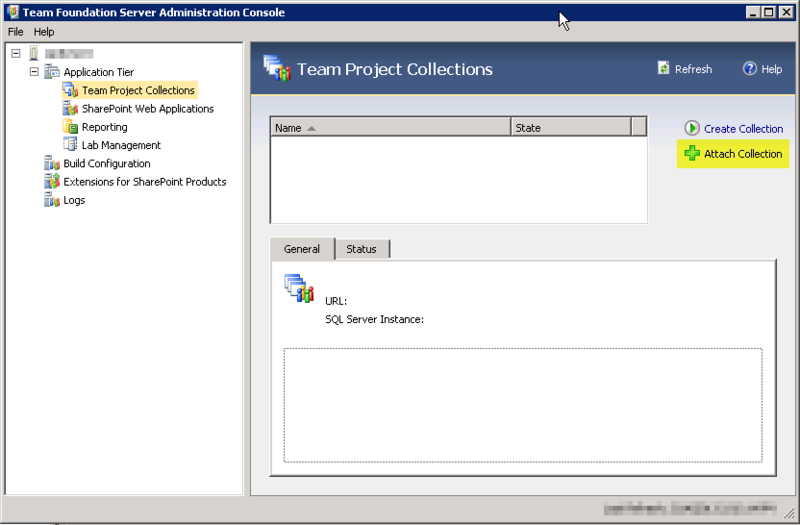 Go to Team Foundation Server Administration Console -> Application Tier -> Team Project Collections then choose the collection you want to migrate. Once chosen choose detach then click next on each following step to confirm. Once finished you will see a Window similar to this, click Complete then close. 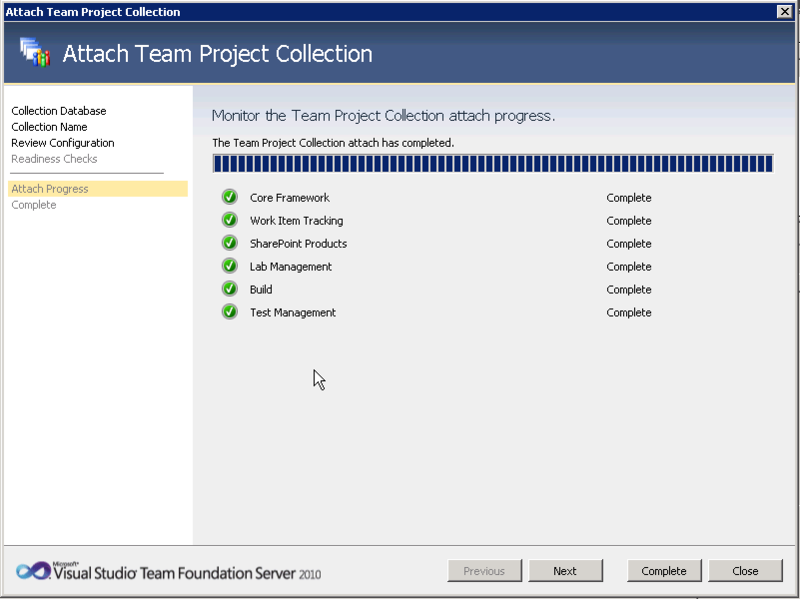 Go to Team Foundation Server Administration Console -> Application Tier -> Team Project Collections then choose Attach Collection. 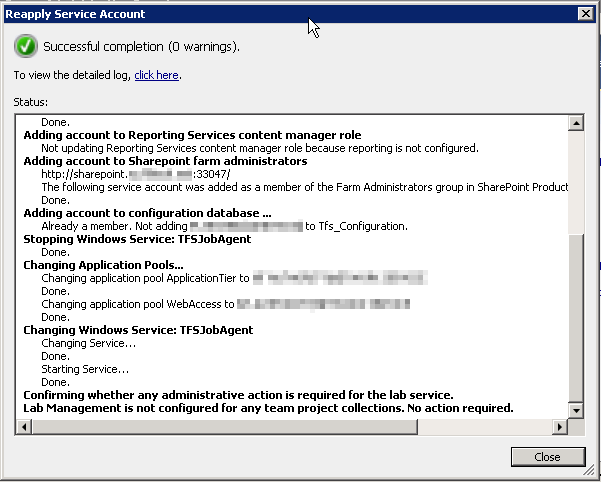 Using the Admin context execute “iisreset /stop” at the command prompt. You can stop this via services.msc or execute “net stop TfsJobAgent” at the command prompt. 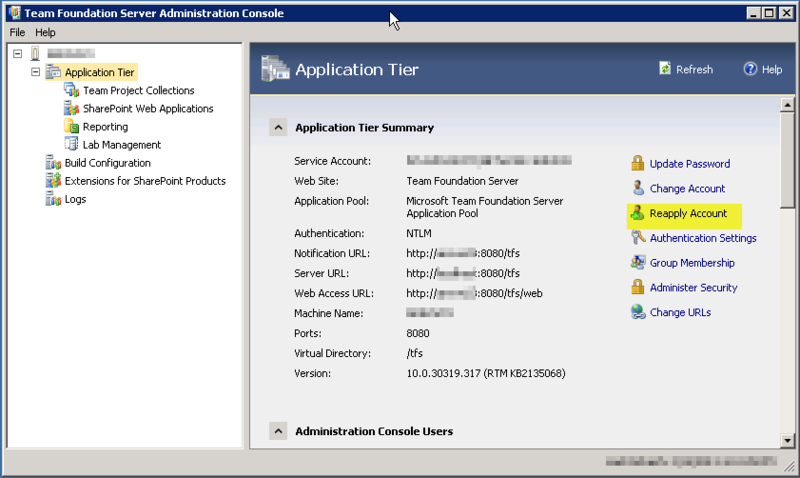 Go to Team Foundation Server Administration Console -> Application Tier then click on Reapply Account. 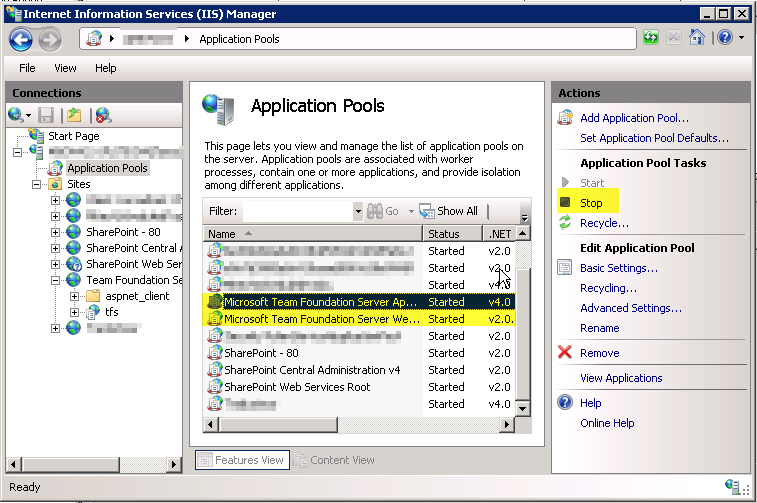 Start the TFS Job Agent service via services.msc or execute “net start TfsJobAgent” at the command prompt. 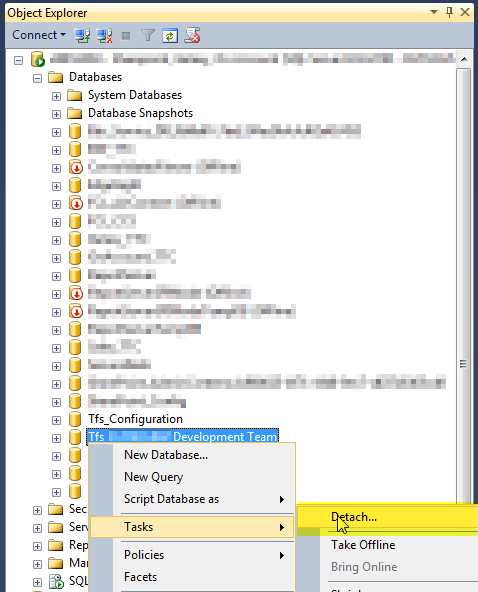 Using the Admin context execute “iisreset /start” at the command prompt. If earlier you just stopped the TFS related sites and application pool just run it all back again. You have now successfully migrated your database. 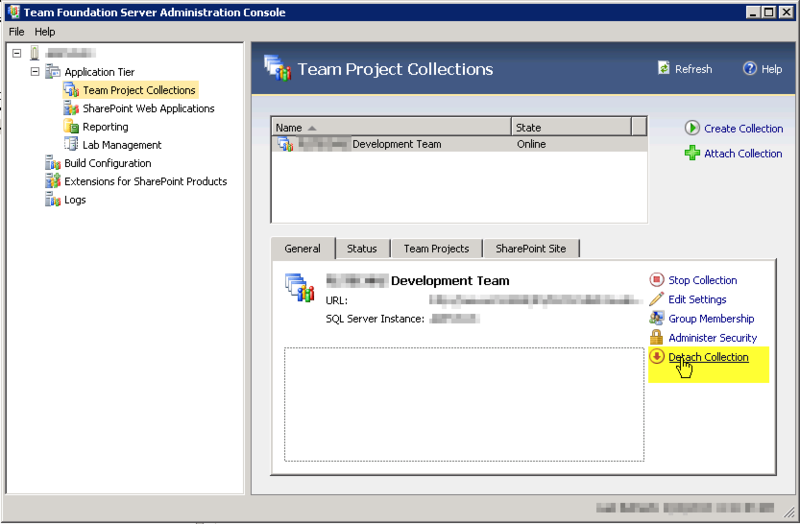 In TFS 2012, tfsConfig doesn’t have the prepSQL command. What would be the equivalent for it? Is it prepareClone?